** After a minor mishap with the original topic, it's easier to delete the thread as a whole rather than that 12 thousand odd duplicate posts that happened when I replied... apologies, @Dface. It boasts the same compatibilities that my SHS-2920 does, and that lock refuses to work with any form of NTAG - I think someone is going to have to test it in person. 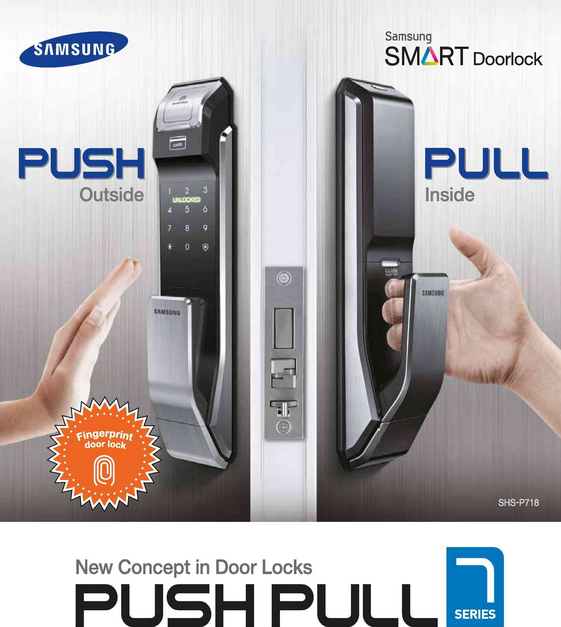 I don't guess there is a hardware store or similar around that has a bunch of Samsung locks set up for demos? We actually sent rings to a company that does do that.. @NFCringTom did we get any feedback from them? Good point @johnyma22 - I've emailed them to see if they have this lock in stock to test with, and also if there are any other models that we can get confirmation of the NFC Ring working with. Will update here if I get a response. Our supplier don't carry the P718 model, but they do have have SHS-P710 model which is similar. It's made for the Korean market and so the mechanism is in the opposite direction from most western doors. I've asked them if they could possibly open one up and test the ring with it for us. No promises yet, but hopefully they'll come through! @Tariq I'd love to help you out with testing that door lock - if you private message me your address I could organise to send you a QA fail 2013 ring to try. If it works with one of those, then the cool new ceramic 2016 ring should be a definite.